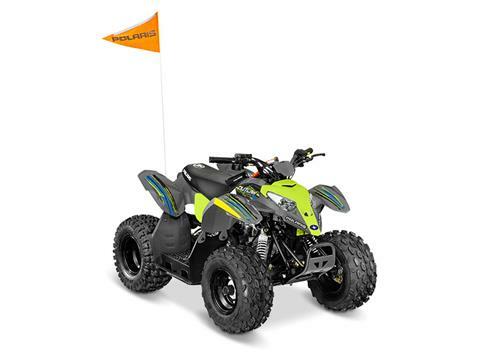 Youth ATV for kids 6 and older. Share the love of off-roading with your kids by starting them as early as six years and older. The Outlaw 50 is designed to get kids comfortable with driving on their own with adult supervision. POWER: The 49 cc 4-stroke engine provides the power needed to give your kids the joy of riding along with the rest of the family. 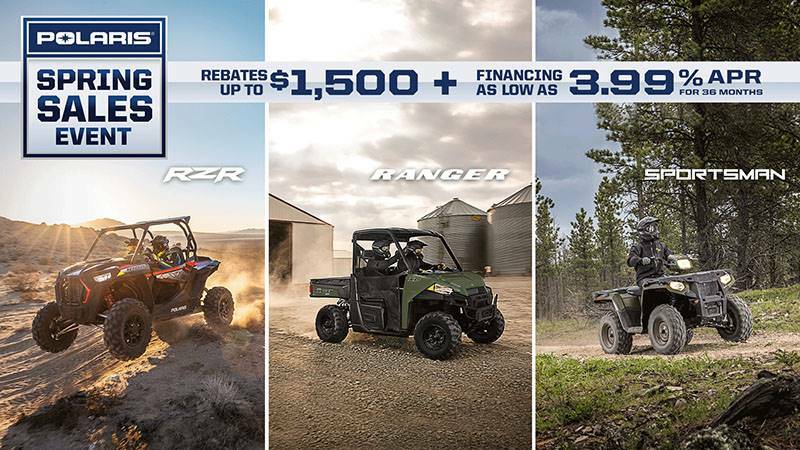 The electric start makes it fast and easy to hit the trails. 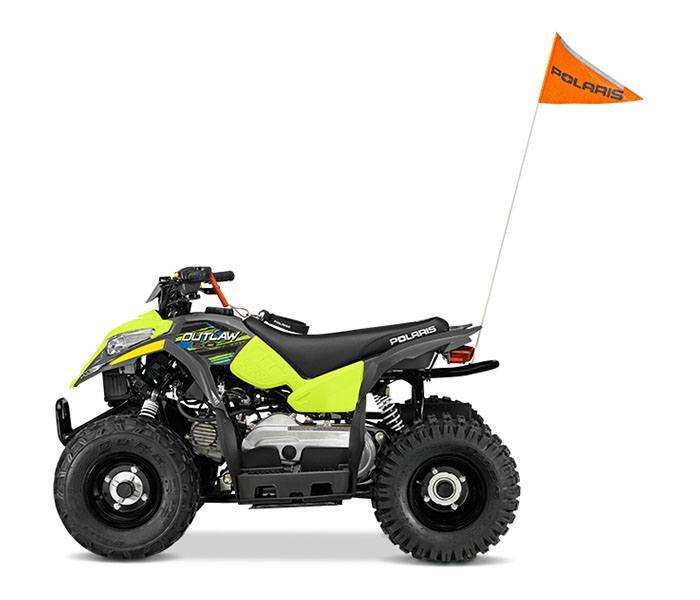 SUSPENSION: The Outlaw 50 is designed to give your kids confidence to safely enjoy the trails with you, offering Single A-Arm suspnesion and 3 in. travel in the front and Mono-Shcok Swingarm suspension with 3.7 in. travel in the rear. ADJUSTABILITY: Parents can easily select from a less than 10 mph restricted mode or unrestricted 15 mph based on rider skill level. SAFETY FEATURES: Safety is the number one priority when it comes to kids enjoying off-road adventures. The Outlaw 50 comes standard with one youth helmet, safety tether, daytime running lights, safety whip flag, speed limiting adjuster, and a training DVD.